The haiku and haibun in Measuring the Depth reflect a vibrant engagement with life. The exhilaration of a deep sea fishing trip, the beauty of a Balinese village, the streets of Brisbane on a Saturday night, the playful moments shared between parent and child, are just some of the experiences deftly portrayed in these pages. Another humid morning and I am up with the roosters, shaving the bristles from my tired face. The animal I have only heard has eaten the banana from my fruit bowl and left the black skin for the ants. The sky is hazy, depthless. Standing before the mirror I muse on my time here. I am a solitary Adam, in a foreign paradise. …Everything is pared down to the barest essentials, but the haiku and the haibun move intensely through their paces to bring the reader an exact pleasure. Because the longer works are such carefully constructed wholes, it’s impossible to quote from them fairly, I can only state my sense that they represent something bold and new in Nunn’s work, and that they feel right and very much of his poetics. Pardalote Press has done a wonderful job in presenting Nunn’s poetry as it deserves. 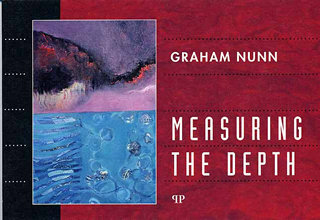 Measuring the Depth should establish his place as one of the foremost haibun poets of Australia, and this is a collection the reader will return to with ever deepening pleasure. Measuring the Depth is sold out. 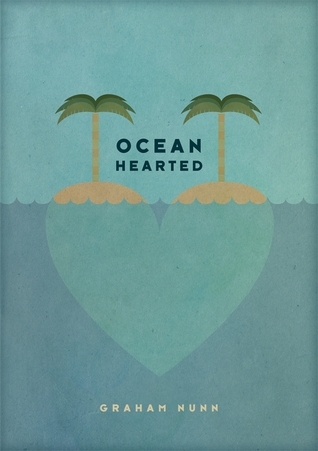 Ocean Hearted contains the poem Fortune. This poem heavily samples and directly quotes from the poem Philosopher’s Stone by Don McKay and does not credit it. This was extremely careless and I apologise deeply to everyone it has impacted upon. This book is out of print and will remain that way. A late night Brisbane street corner, a wine glass the morning after, a discarded suit from his father-in-law. With shadows in his mind and the breath catching in his throat, Nunn celebrates a series of intimate moments. Pulling us in and making them real. It’s a world of silent mirrors, drinks, parties, escaping Leonard Cohen albums to find “the streets/a beautiful menu of poems”. There is beauty and sadness in equal measure, it’s honest, open and beguiling. Graham Nunn writes city poems with electric imagery, pulsing with loss and desire. His words are carved out of bruises, his phrases flicker like strobes around the bars and the long streets of the night. Ruined Man is sold out. I’d never heard of Graham Nunn until I came across some of his haiku in an online publication. I read and reread his poetry, saying to myself, “This guy writes nice haiku.” His haiku is distinct, original, and indelible. I knew then and there that I wanted to read more of this man’s work. When I contacted him, he mentioned a book he’d recently written, A Zen Firecracker, and offered to send me a prepress copy. Graham is a native of Australia. Many of his haiku are interspersed with references to his country. Nunn’s haiku is sparse . . . using only the language necessary to say what he wants to say. Nunn doesn’t waste words. He reminds me in a way of Buson. Like Buson, Nunn writes haiku that are observational, visual, and succinct. The author doesn’t interpret what he has seen. Nor does he allow himself to view a scene in nature with preconceived notions. He observes and seemingly lets nature speak to him. The poet, while breathing in, notices shadows passing over a mango tree. There is a Zen to this haiku. It looks deceptively simple, yet it is multilayered, projects a definite mood, and is open for multiple interpretations. Nunn is not afraid to intersperse humor in his haiku. A humor that is visible and easy to relate to. 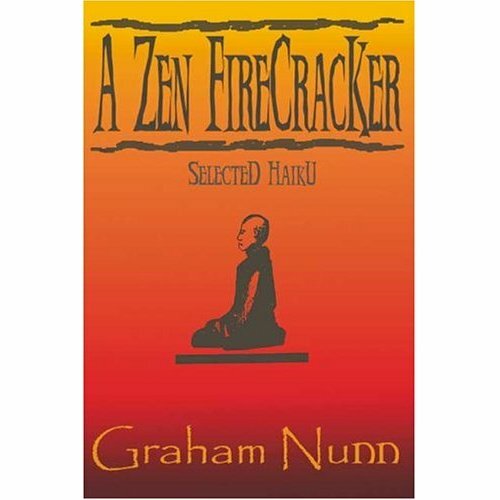 Graham Nunn’s A Zen Firecracker is a good read. The kind of haiku book you will want to read over and over again. His is a refreshing voice. He has something to say and says it well. A Zen Firecracker is sold out. Share the Tragedy is a raw and unique collection of poems by Brisbane based poet Graham Nunn. The writing here is explosive, original and irreverent. No stone goes unturned as Nunn exposes the tragedy in the politics of love, war and life on the streets of his hometown, Brisbane, Australia. mm. like those servings above. thank you for the buffet. –the cat skull in the gutter is as stark and compelling as it unexpected. Thanks… glad those images took you by surprise.